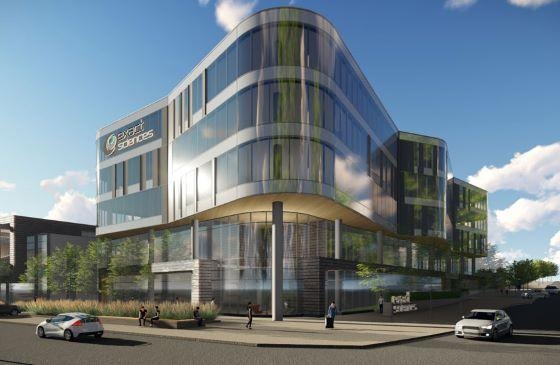 Exact Sciences Innovation One Office Building – Westphal & Co. Innovation One is a new 125,000 square foot 5-story corporate office building with three underground parking levels in University Research Park on Madison's west side. For this design-build project, we are responsible for all of the electrical engineering, design, and construction of the electrical components of the building. Powering the building is a 3000 Amp electrical service designed to accommodate possible future additions. The building itself is a completely glass enclosed structure and will stand out among the others due to its unique curved shape when seen from above. Inside, there are several meeting rooms with AV capabilities, large open office and enclosed office areas, a full dining area and break café that doubles as a gathering space, and a full service fitness area complete with classroom and therapy rooms. This project is scheduled for completion in early 2020.